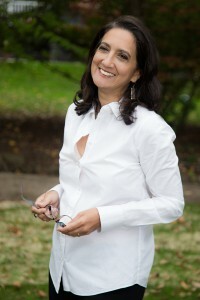 Marina Budhos is available for readings & talks. Send emails to Marina Budhos. I am a middle school English teacher in my 10th year of teaching and this was the first book that I have ever read in school (as a teacher and student) that gave a full view of slavery and its impact on the world. I know your story was about sugar’s impact, but it was about so much more than that. I truly appreciate your time and research that you put into this book. This will be my fourth teaching Sugar Changed The World and I would love it if you all could do a Google Hangout with our eighth grade classes. We always show the event that you all did with the Brooklyn students and I would love for our students in Monroe, Louisiana (a.k.a Lousy Ana) to have that same experience. With the use of Google Hangout there is no travel expense just your time. I really hope to hear from you guys.